CodeAge offers you the best SEO services in islamabad Pakistan. We run remarkably successful SEO campaigns for your websites by using a unique blend of our creative and technical expertise. As everyone wants their business to be on the first page of Google, it’s never easy to land there without proper search engine optimization. Google’s algorithm now uses over 200 signals to rank the website against the relevant keywords. Recently, they performed over 540 quality improvement steps in their search algorithm to enhance their indexing function. 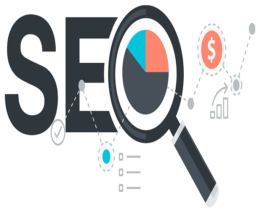 For realistic and optimized ranking on 1st page of Google, we ensure that our SEO services are entirely bespeaking to your company and your vision. Our highly-qualified professionals are fully aware of the fierce competition in the internet market. So, we design our SEO campaigns that optimize the visibility of your website within the search engine algorithm. This makes us the best SEO company in Pakistan. We believe in organic SEO without any artificial bots or spam. We develop successful campaigns for all kinds of businesses from small stores to corporate organizations. Our significant SEO strategies deliver high-quality and targeted traffic to your website.CodeagePk provides best SEO services in Islamabad. We help you in defining SEO objectives for your website and develop a realistic strategy for you. We provide professional audits for your websites and give recommendations accordingly. This ensures effective indexing of your pages in the search engines. Whether you look for complete SEO services or you own an in-house marketing team, we work in both ways and advise you on the best approach. Solid keyword and market research is the fundamental key to define SEO strategy. Our SEO team expertise in providing realistic projections and forecasting opportunity within your brand. We make solid estimations based on our in-depth market research. As the best SEO company in Pakistan, we emphasize on latest onsite SEO techniques. We analyze the structure and key elements of your website that are weighted within the algorithms of search engines.Based on our analysis, we develop strategies to enhance relevancy and alignment in targeting your keywords. Our SEO consultants are well-experienced in link audits and reviewing backlink profiles. We assist our clients in recovering their websites from Google algorithmic penalties such as Panda and Penguin.We thoroughly analyze your website for the actions or mistakes that caused you the penalty and give our recommendations to recover appropriately. Although link building is becoming outdated for SEO, links are still the key signals used by Google for ranking. Therefore, we encircle link building with content marketing, online PR, and outreach to target your audience and get them talking about your brand. Compelling and captivating content is the backbone of any marketing campaign. Our SEO writers develop eye-catching content for your brand that boosts your business in digital media, industry publications, and blogs. Online PR is a cost-effective way to market your brand. We’ve established close connections with some of the most promising influencers and bloggers from different sectors and organizations. They highly rely on our brands for unique views, opinion, and timely content. To keep the number of your visitors growing, it is necessary to build the outreach of your company. Our SEO experts connect your brand with the key digital influencers. That’s how people start talking about your brand and keep sharing your message. Our SEO team works along with our designers to research, design, and create remarkable infographics and engaging content for brands. These infographics catch the attention of your audience instantly across the web. To reach your audience across all the channels, we pay special attention to social media promotions. With our top SEO services in Islamabad, we amplify your company’s vision and goals through social signals. Hence, the ranking of your brand boosts up in the search engines. For optimal and consistent SEO, it is important to create reports on visibility, site analytics, revenues, and conversions. Therefore, we attribute these reports to our clients to analyze the performance of the campaign and make improvements accordingly.